Flowering plants, whether indoors or outdoors, can be encouraged to bloom more frequently and to produce more flowers throughout the growing season. While not all plants are profuse bloomers, many annuals can be encouraged and trained to produce more flowers. Even roses, with the proper care, can become more productive. Exceptions to the rule are perennials, which typically bloom only once before becoming dormant again. 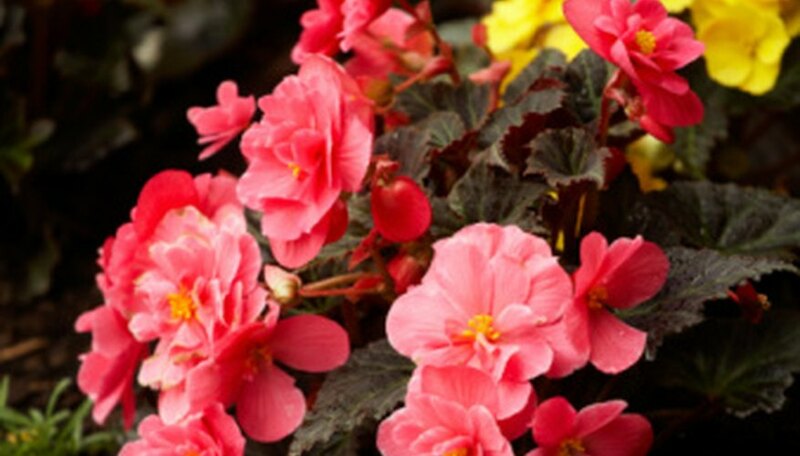 However, a few tips will help perennials have more blooms. Follow sunlight preference instructions for each plant. Some plants require full sun, while others will do better in partial shade or even complete shade. Plants and seeds purchased at garden stores will typically have tags or instructions that indicate how much sun the plant should get. Follow these instructions closely to ensure that your plants are getting the proper amount of light to be productive. Fertilize plants on a regular basis. Annuals should be fertilized weekly with a mixture of plant food and water. Perennials typically do not need as much fertilizer, but they can benefit from bi-monthly fertilization. Follow the fertilizer's label instructions for application rates and frequency. Water plants regularly. Plants need plenty of water to produce blossoms. Many varieties, such as petunias, have a high water content in each bloom. Providing enough water throughout the growing season will help ensure that the plants will be healthy enough to produce more blooms. Most plants should be watered daily, especially in hot and dry climates. Deadhead old blooms. Plants typically will not produce more flowers on a stalk that has a dead flower on it. Remove dead flowers as soon as they die and the plant will be able to direct its energy to producing more flowers. Snip the dead bloom off right below the blossom, using garden shears. Monitor and remove pests in the garden. Stressed plants do not produce as many flowers as non-stressed plants, and garden pests often are the cause of stress. Monitor your flower garden for aphids and small insects. Apply pesticides on a regular basis if there is a continuing problem with insect infestation. Follow the product label instructions for application rates and frequency. Increase humidity for houseplants. Flowering indoor plants will produce more flowers if they are in a humid environment. Place a small humidifier near your plants to increase the humidity levels in the room. If your house is dry or if you have several plants placed in various locations around the house, consider a whole-house humidifier.